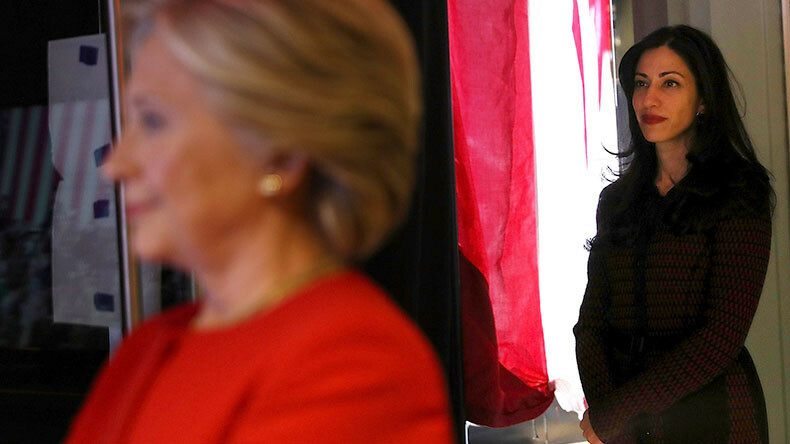 The State Department admitted the FBI discovered nearly 3,000 government documents on a laptop belonging to the ex-husband of Hillary Clinton’s top adviser, Huma Abedin, conservative watchdog group Judicial Watch said. “This is a disturbing development. Our experience with Abedin’s emails suggest these Weiner laptop documents will include classified and other sensitive materials,” said Judicial Watch President Tom Fitton in a statement, naming Abedin’s ex-husband, Anthony Weiner. “When will the Justice Department do a serious investigation of Hillary Clinton’s and Huma Abedin’s obvious violations of law?” the statement added. The documents were discovered on Weiner’s laptop after devices were seized as part of an FBI investigation into an allegation that he had engaged in ‘sexting’ with a 15-year-old girl. The discovery of the State Department emails led then-FBI Director James Comey to reopen an investigation late in the 2016 US presidential election. In July 2016, Comey, exonerated Clinton following the probe into whether the former secretary of state’s private servers had been used to transmit or store classified information. Comey said he referred the case to the Department of Justice for a prosecutive decision. 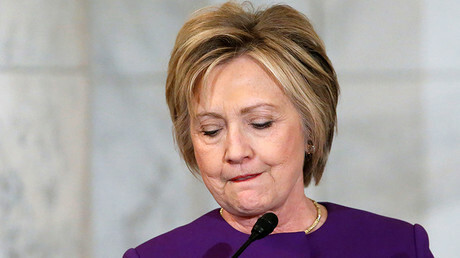 The investigation began as a referral from the Intelligence Community Inspector General in connection with Clinton’s use of a personal email service during her time as secretary of state. Comey said from a group of 30,000 emails, 110 in 52 chains had been determined by the owning agency to contain classified information at the time they were sent or received. Eight of those chains contained information that was ‘top secret’ at the time they were sent, 36 contained ‘secret’ information, and eight contained ‘confidential’ information. “Although we did not find clear evidence that Secretary Clinton or her colleagues intended to violate laws governing the handling of classified information, there is evidence that they were extremely careless in their handling of very sensitive, highly classified information,”wrote Comey. After finding more documents on Weiner’s laptop, Comey alerted Congress that the agency had reopened its investigation. However, three days before the presidential election the FBI announced that it had found no evidence of wrongdoing. In August, Judicial Watch released 1,600-plus pages of emails the State Department had turned over under the group’s FOIA lawsuit. 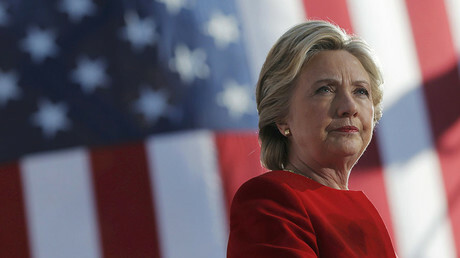 The documents included 91 email exchanges that were not previously handed over to the State Department, for a total of 530 emails that were not included in Clinton’s initial 55,000-page disclosure. Judicial Watch said the State Department is processing 100,000 emails Clinton failed to disclose when she served as secretary of state, some of which were sent by Abedin and found on Weiner’s laptop. Clinton attempted to delete 33,000 emails from her non-government server. The State Department is currently checking about 500 pages per month, following a court order. Judicial Watch said at this rate the documents won’t be fully available until at least 2020.